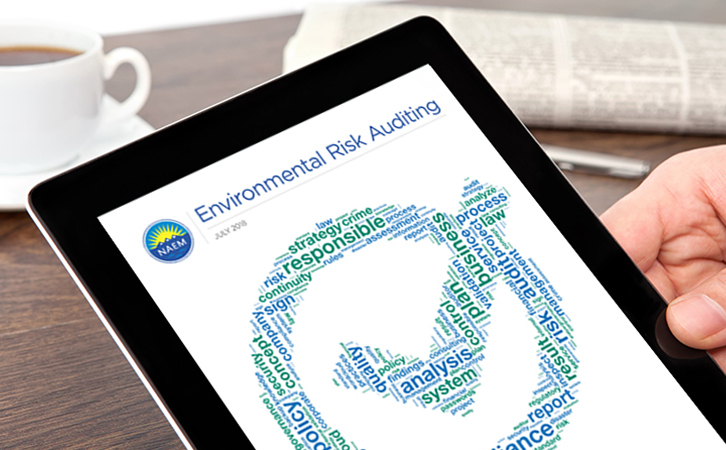 Available exclusively from NAEM and VelocityEHS, the new complimentary report takes an in-depth look at the strategies and methods that industry-leading companies are using to proactively audit their environmental risks. The analysis offers readers a benchmark to evaluate their own audit processes, along with best practices you can use to help develop and refine your own programs to more effectively manage risk. Click here to download a complimentary copy of the NAEM report. Those looking to implement an environmental risk auditing program will not only benefit from the report findings, but also from overview examples of effective programs survey respondent currently execute. Audits and inspections are key drivers of EHS excellence for those companies committed to meeting or exceeding industry best practices and achieving operational efficiencies. The VelocityEHS Audit & Inspection Software simplifies and quickens your ability to deploy checklists and protocols to identify non-conformance and hazards. Our trusted solution supports compliance auditing, routine site inspections, behavioral safety observations, and regulatory, policy and standards compliance. It also gives you and your employees the ability to perform workplace inspections and observations from their tablet or smartphone, even when they're offline with the VelocityEHS Mobile App. The VelocityEHS Risk Analysis solution can also help you identify environmental risks and indicate controls that will be used to reduce them. Our software helps simplify the various methods for defining, assessing and controlling workplace hazards and the probability and impact of environmental aspects. You can even perform Aspects & Impacts Analyses to reduce environmental impacts and help ensure compliance with ISO 14001 and similar standards.